Sheri Brown, an early childhood educator since 1985, has been appointed as the new director of the Tikvat Israel Early Childhood Center. Brown will assume her post in May. She was the top choice of a search committee, chaired by Ellen Kaminow, to fill a vacancy that occurred in January. Brown began teaching at the Jewish Community Center in Norfolk, Va., and most recently served as director of the pre-school at Adas Israel Congregation in the District of Columbia. 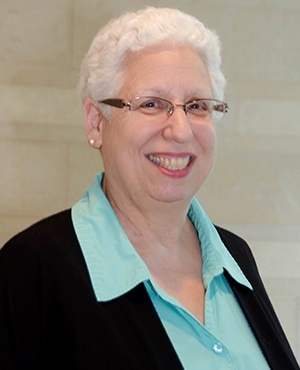 She previously directed the Rosie Uran Jewish Education Center at Congregation Sha’are Shalom in Leesburg, Va.
Brown has worked with students of all ages in Jewish, private and public schools as a classroom teacher and administrator. She also was the first technology specialist in a public school system. She says she enjoys challenging situations and finding solutions to them that show kavod to all involved. She says she is passionate about program quality and thrives when she is working together with staff members and families to provide the best environment possible for children. Brown says her office door is almost always going to be open, and she looks forward to joining the educators and families at Tikvat Israel. She has been married to Matt Brown for 38 years and their children are 36, 34 and 22. The two youngest children and her one grandchild live in Bethesda.